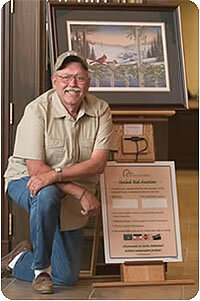 You can individually manage a special DU art auction program and raise funds for DU's conservation efforts. Source locations in your community for public sealed bid art auctions. Manage art selection and display set-up. Provide information to DU for product shipment to winning bidders and payment collection.